Sauber - meh. But the nose is interesting. Williams - meh. Nice from the side though. Ferrari - best Ferrari since 2008. The ones in between have had way too much white. McLaren - lookin' good! Hopefully they can make this one stick and find their identity again. The shapes like I said all seem to be converging more than ever. It would have been nice if Williams had refreshed the Martini livery just a little bit, but it's alright. The Mercedes is always going to be 'Silver Arrows' so there's no point whining about that one as it's their definite colour as much as 'Rosso Corsa' is to Ferrari which I am delighted to see has been spruced into a slightly darker more metallic shade with much less white. The Renault is pretty snazzy as their corporate colours usually are. I'm not keen on the Alfa Romeo Sauber. The McLaren is cool, not so much for the OMFGZ original McLaren colours but for bringing some colour diversity to the grid. We need a green car back too. Can't Judge on the Red Bull since it's not the race livery and of-course we're yet to see the Force India. I'm quite looking forward this season at the moment. I hope that there is a real chance that there could be a three team fight at the top between Merc, Ferrari and Red Bull. 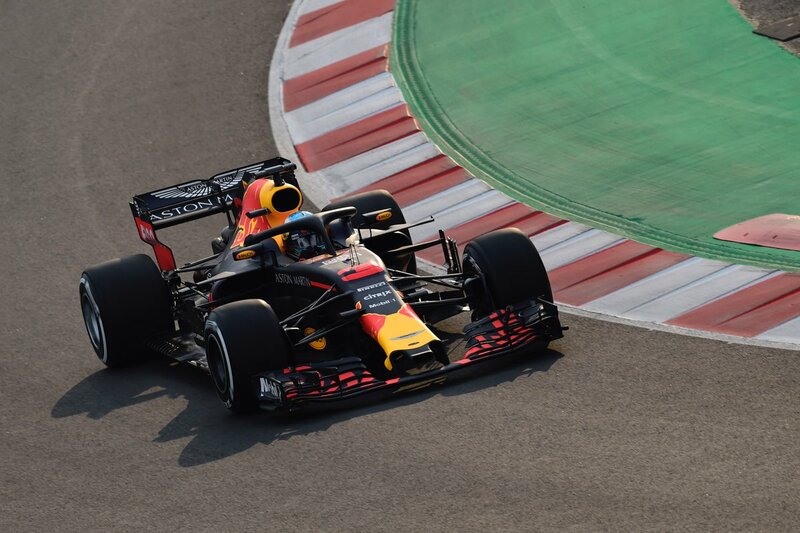 A three way tussle between Hamilton, Vettel and Verstappen could be just the stuff and don't rule out Danny Ric either. Bottas could win some more races.. but I doubt he'd properly push Hamilton in the championship. Kimi... mostly on cruise control these days wouldn't be allowed to touch Vettel anyway so meh. The Midfield should be no less exciting. It will be fascinating to see how Forced India deal with expected resurgences from Renault and McLaren. I think Renault ought to continue their general trend of improvement and I suspect that eventually, in the next few years they will be a title contender again like in their previous works team era. McLaren have a smaller engine shadow to hide in this year. Frankly, I think they dropped the ball before the end of V8 era but even so this Renault customership for them ought to help make up for the last three years. I'd be surprised if we didn't see Alonso on the podium at least once. And if we get one of those odd weekends or funky circumstances, then I think he could be right in there. Williams will probably make some good progress with the car, Lowe is not a complete Muppet and he's succeeded in pushing through some much needed changes in aerodynamic philosophy. So the car itself will be closer to the pace. But in all likelihood they will slide further down the constructors championship. This will be due to a combination of the likely resurgence by both Renault and McLaren allied to the fact that their driver line up will quite simply be the weakest in F1. I'm confident that Sirotkin will be perfectly competent and he will score decent points when the car is capable. But look at the direct competition: Perez/Ocon/Hulkenberg/Sainz/Alonso/Vandoorne/Grosjean/Magunessen/Hartley/Gasly/Leclerc. That's going to be tough. I sense Toro Rosso will have more fruitful time with Honda than McLaren did. Red Bull are more interested in building them up into a tangible choice for the works team. Plus Honda have stopped with the old 'fresh sheet' every year approach for this year. There is a much better chance that many of the reliability niggles will be ironed out this time and they should have more opportunity to develop some performance. They're not going to be utterly brilliant obviously.. but not disastrously pathetic either. Hass, yeah they will be in that midfield group. For what they are, they are seriously impressive. But I don't see how they could graduate past the midfield with the way F1 is currently. Sauber, well they have really very few excuses to be the tailend charlie this year. Engine back upto current spec. Funding back to relative parity with the midfield privateers and an increased relationship with Ferrari. Make no mistake.. this is a quality grid we have here. We'll have no old school team being several seconds off the nearest competitor at the back. This year we'll have the title chase up front and then simply the 'midfield'. I'm interested that you're not rating McLaren Jim. I think they'll be fairly hot on the heels of Red Bull unless Red Bull have designed a peach and are taking it to Ferrari and Mercedes. I'm thinking perhaps 2-3 tenths down on Red Bull generally at the start of the season. Do you think they'll be further back? Interesting that Renault have come out today and said that the presentation car isn't the car we'll see next week and was just a livery reveal. I'm expecting Renault to be fairly close to the front 3/4 towards the end of the season. They made big gains throughout 2017 and if they can carry that forward they'll have regained all of the ground they've lost in the past few years. Am I the only one who thinks Renaults driver lineup is wholly overrated? I don't think either of them can take the team forwards. Alonso had his fastest lap of the first day of testing deleted, because he had to cut the track to pass... the Honda powered Toro Rosso. Yep, the GP2 engine was just too fast on the straights for him to pass normally. And 90+ laps completed on the first day. Oh, the irony! Doesn't look like McLaren being able to blame Honda for most of their woes for so long has served them well. Maybe it wasn't really Honda after all, but McLaren's way of interacting with them that didn't work? In 69 years F1 has seen beautiful cars with stunnnig sounds, ugly cars that still sounded good and beautiful cars that sounded like crap. Now for the first time we officially have cars that look as ugly as they sound. Thank f*ck for that. Mclaren seem to be having their usual spate of pathetic reliability issues (wheel nuts and exhausts so far) whereas other teams seem to be doing just fine. 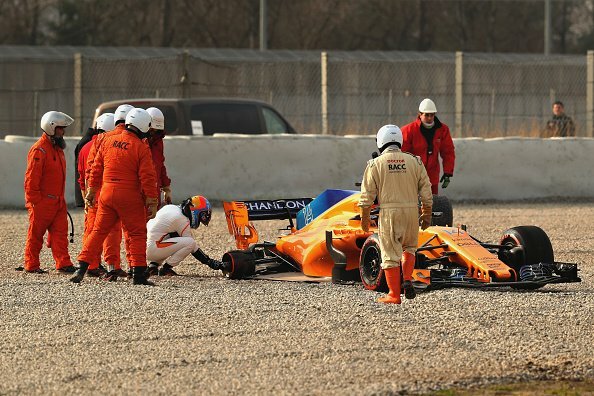 Alonso claims that their problems have been very public whereas other teams have had cars in bits in the garages, not sure if there's truth to that. McLaren spent the last 3 years bashing Honda but they´ve been awful at a lot of things. For example, they´re amongst the slowest pitstops for a couple of years now... Maybe the car is good but if they don´t step up their game as an organization they won´t be at the front. > I'm interested that you're not rating McLaren Jim. I certainly think that they're in for a significant overall improvement in performance and constructors position. But no, they're not going to touch Red Bull. By rights, Red Bull ought to be gunning for the championship this year. No matter how much bluster McLaren have put around I don't think we can lay the blame for the past three years soley at Honda's feet. Don't get me wrong I fully expect to see some big results for McLaren this year as we know that Alonso will extract every last bit of performance from it and then some more. Yet Mclaren dropped the ball before they partnered with Honda and quite simply they are no longer a top team. A little bit like with Williams, observers need to stop judging the team by past glories and accept that todays power houses are Mercedes, Ferrari and Red Bull. Well they've certainly been unimpressive in testing so far, from both a reliability point of view and performance too by the looks of it, but it's early days yet. I think they're a step ahead of where they were in the couple of years before Honda. It's a gorgeous car though. Absolutely gorgeous. As expected the moment Honda left McLaren they look to have come good - certainly solid at the moment at least. 147 laps on Thursday is mighty impressive at this stage of the testing - Mercedes levels of pounding around (though to be fair McLaren did 160 laps too). Edited 1 time(s). Last edit at 03/03/2018 11:21AM by gav. I think Honda have basically kept with last years concept for this season. To basically get on top of the reliability. Previously they had kind of threw their hands up in horror thinking it was all @#$%& only to end up with worse problems. It will be interesting to see how Honda and Toro Rosso fare, because if things start to take a positive step, then Red Bull will be eyeing them up to become the works partner. It will be interesting to see if Aston Martin would be open to a involvement in that. 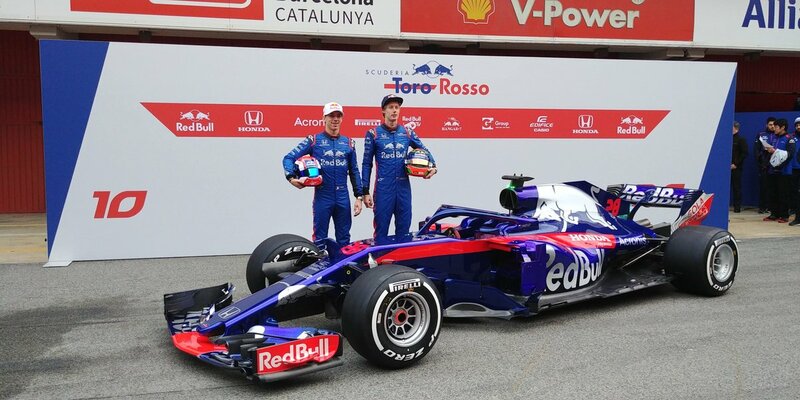 That was the whole reason for Toro Rosso taking Honda, wasn't it? McLaren didn't want Honda, so Red Bull stick it in their junior team in the hope that it comes good. Sainz didn't want to suffer the potentially disastrous season so he's been loaned to Renault for the year (Red Bull keeping him in case Ricciardo heads for pastures new in 2019). Anyone getting F1 Tv in the Future? I don't get it seriously who want's to spend 100 Bucks . Edited 1 time(s). Last edit at 03/06/2018 12:25PM by Toki. If it were available to me then yes I'd definitely consider subscribing to the new F1 TV. Just so long as it is done properly and the package included the live timing etc. 100 US dollars equates to approximately 70 GP pounds. Depending on how you choose to perceive that, you can see that as under 6 pounds per month or about 3.33 pounds per grand prix weekend. That's pocket change to be fair. It already costs me between 6-10 quid for a now tv pass to watch the SKY coverage when Channel 4 aren't allowed to broadcast live. That's every race from next year as SKY have the exclusive rights to live coverage in the UK. I don't know how much a full Sky package would cost me and as I have no intention of getting one, I'm not going to even check. I suspect it would definitely be much more than 70 pounds though. So the F1 Tv is already looking more attractive in terms of value. Unfortunately for me and anyone who lives in a country where a broadcaster has an exclusive deal to the live coverage then F1 Tv is not available. Although I gather Liberty are open to the those broadcasters up-selling elements of F1 Tv to their respective markets. I'm not sure I like that the sound of that.. Sky would find a way of making it significantly more costly to the viewer. Also, they are already gearing up for the old illegal streaming trick. I hear that they are putting in strict VPN security. I think it's £8.99 per race on NowTV, that's without watching the qualifying (which I don't really have time for anyway). I will begrudgingly pay this when I know that half of the races are going to be free to air on Channel 4. But when the exclusivity kicks in, that's a lot of money over the year. The cheapest Sky deal which includes Sky Sports F1 is £60 PCM. I am not paying that as it is extortion and also I refuse to line Murdoch's pockets. In the UK they really have us by the knackers, we have to pay for our TV license yearly - money which goes straight to the BBC regardless of whether you view any of their channels. It is extortion, I'm not sure how it's legal. > seriously who want's to spend 100 Bucks . Seems to me, that their real problem is the insistence on zero size packaging of everything. AFAIK Honda actually made a slight increase to the footprint of their engine dimensions after splitting with them. This would tie neatly into the way the Japanese work with partners, in that they rarely give you a flat refusal of requests, even if they do not agree with them. This would also tie into remarks from Toro Rosso on how they handle the collaboration with Honda, namely in the sense that they are fine with giving them a relaxed leash in terms of development and pursuit of ideas. Essentially McLaren seem adamant on out-Chapmanning everybody on the grid, which traditonally hasn't been a bad idea if you could stay afloat financially until you discovered more performance that the rest of the grid. IMHO, the problem is that the game has changed. It used to be so, that all you lost was points due to failures. Now, with limited spare parts and testing time, you lose track time. And this is BAD in a setting where time on track is at a premium and cannot be replaced with anything else, including dyno, simulator. CFD and wind-tunnel time. If you are not pounding the pavement, you are not collecting data. And if you are not collecting data, you are falling behind those that are. Which means, you can be as radical as you want to be, you will still not be able to pull out of the mid-field. "yup, this new high tech @#$%& doesn't work. Just gonna pretend like nothing happened, unplug it and roll it away like nothing ever happened..."
There is no question that Ron Dennis made some really bad calls back in the day, but there is no way this sh!t would fly under his watch. Like seriously he didn't allow for coffee cups on you desk, wrinkled uniforms, or stubble on your face. Anyone doing this during testing would have been chewed out over multiple emails, or outright fired before they came even within 10 feet of the car.